In 1967, Canadian writer Timothy Findley’s debut novel The Last of the Crazy People was published in the United States, but was rejected outright by Canadian publishing houses. The novel, which depicts severe familial dysfunction—including an eleven-year-old protagonist who murders his family—was rejected by publishers on the basis that this kind of violence was un-Canadian (Cohen 23). While The Last of the Crazy People was eventually published in Canada, Findley’s career continued to be plagued by incidents of censorship. Findley is not alone in in this. Author Margaret Laurence faced multiple attempts to ban her award-winning 1974 novel The Diviners. As Sheila Turcon notes, complaints were lodged in 1976 by a board of education trustee and a Pentecostal minister against two Peterborough high schools for including The Diviners on their reading lists; the novel was approved in these cases, but there were further attempts to ban it in 1978 (successful) and 1985 (unsuccessful) (Turcon n. pag.). Censorship is a complex concept and before moving forward it is important to have a working definition. 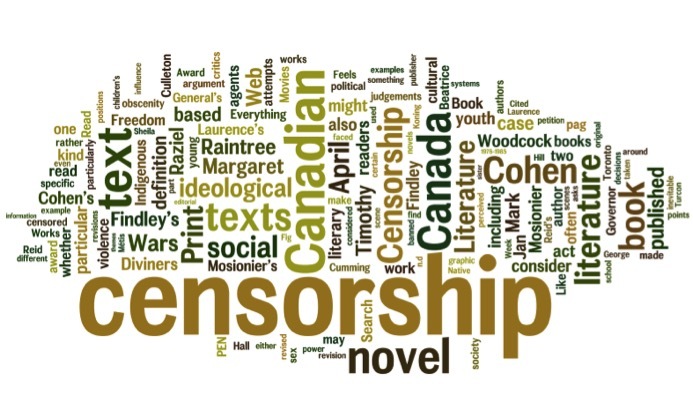 In Censorship in Canadian Literature (2001), Mark Cohen defines censorship as: “the exclusion of some discourse as the result of judgment made by an authoritative agent based on some ideological predisposition” (15). Cohen’s definition articulates the four main components of censorship: 1) that part or all of a text is excluded (either before or after it is published), 2) that there is a particular form of judgment made against the text, 3) that there is an agent who makes this judgement, and 4) that there is an ideological force at work behind this decision, whether it be motivated by a particular political, moral, religious, ethical, or social belief. The types of discourses that are excluded can vary greatly, although censorship often focuses around particular scenes or themes that are then said to affect the integrity of the text as a whole. The specific judgements made around these texts often relate to the perceived appropriateness of scenes or themes of sexuality, gender, and violence. The impacts of these judgements can lead to the outright banning of a book, limiting a book’s readership to members of a specific group, or asking for revisions to be made to the text. The kinds of agents who make judgements are commonly those with significant political power, such as a government, or perhaps even a school board. This can mean either the refusal of a press to publish a text, the banning of a text from the country, or the removal of a text from a school syllabus. However, as Cohen points out, attempts are also made by non-governmental agents to censor texts, be it through petitions or individual parents who raise the issue with schools. The notion of an ideological force motivating the act of censorship requires some explanation as this is key to understanding the conviction with which individuals or groups take stances—form judgements—on a text. The most frequently cited definition of ideology is taken from the work of Stuart Hall, one of the principal cultural studies theorists in Britain and worldwide. Cultural studies, broadly considered, is a field of thought that examines how cultural practices—including those of literature and literary criticism—are tied to systems of power, be they economic, social, or political systems. For Hall, ideology consists of “the mental frameworks—the languages, the concepts, categories, imagery of thought, and the systems of representation—which different classes and social groups deploy to make sense of, figure out and render intelligible the way society works” (81). Ideologies, Hall explains, produce “different forms of social consciousness” (82). When Cohen argues that agents who judge that something should be censored do so based on an “ideological disposition,” he refers to a social consciousness, or set of values and assumptions about how the world should work, which, Hall argues, affect us largely unconsciously: typically, “we are not aware that how we formulate and construct a statement about the world is underpinned by ideological premises” (82). With Cohen’s definition in mind, and to help us focus in on our case studies, let’s move on to look at some of the key scholarly arguments around censorship in Canada. Think about literary works from Canada or elsewhere that you know of that have been censored. What do you know of the circumstances of the censorship? Who was the author? Who targeted it for censorship and why? Who was the “agent” that judged that the text should be censored? What were the “ideological predispositions” that seemed to shape their decisions? What was the outcome of the attempt to censor the work? Works of literature that face censorship or other forms of backlash often paradoxically face greater reader interest. Why might this be? Findley, Timothy. The Last of the Crazy People. Toronto: Genera, 1967. Print. Hall, Stuart. “The Whites of Their Eyes: Racist Ideologies and the Media.” 1981. Gender, Race, and Class in Media: A Critical Reader. 3rd Ed. Gail Dines and Jean M. Humez. Thousand Oaks: SAGE, 2011. 81-84. Print. Laurence, Margaret. The Diviners. Toronto: Bantam, 1974. Print. Mosionier, Beatrice Culleton. 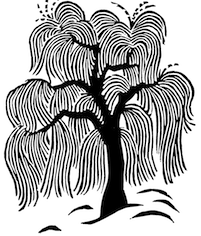 In Search of April Raintree. Winnipeg: Pemmican, 1983. Print. Reid, Raziel. When Everything Looks Like the Movies. Vancouver: Arsenal Pulp, 2014. Print. Turcon, Sheila. “The Censorship of Margaret Laurence’s The Diviners, 1976-1985.” McMaster Digital Collections. Web. 15 Aug. 2016.